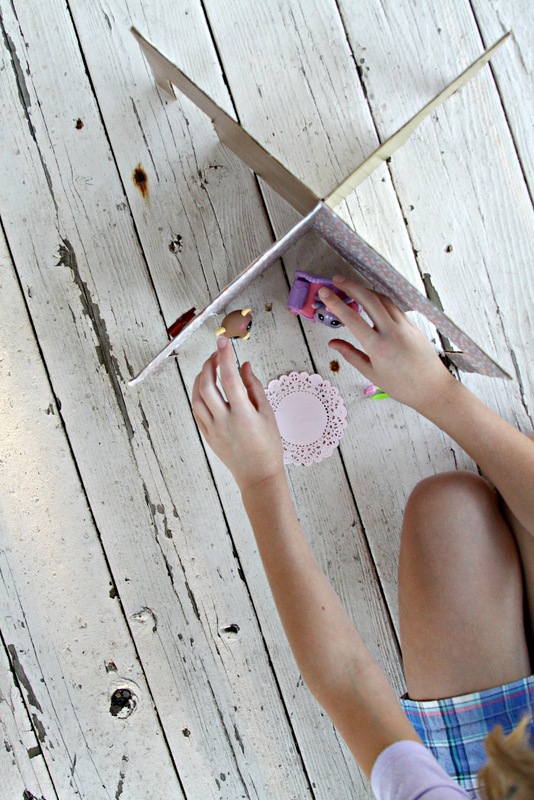 I will start off with a quote (about this project) from the girls: "This is the funnest thing ever so far!" 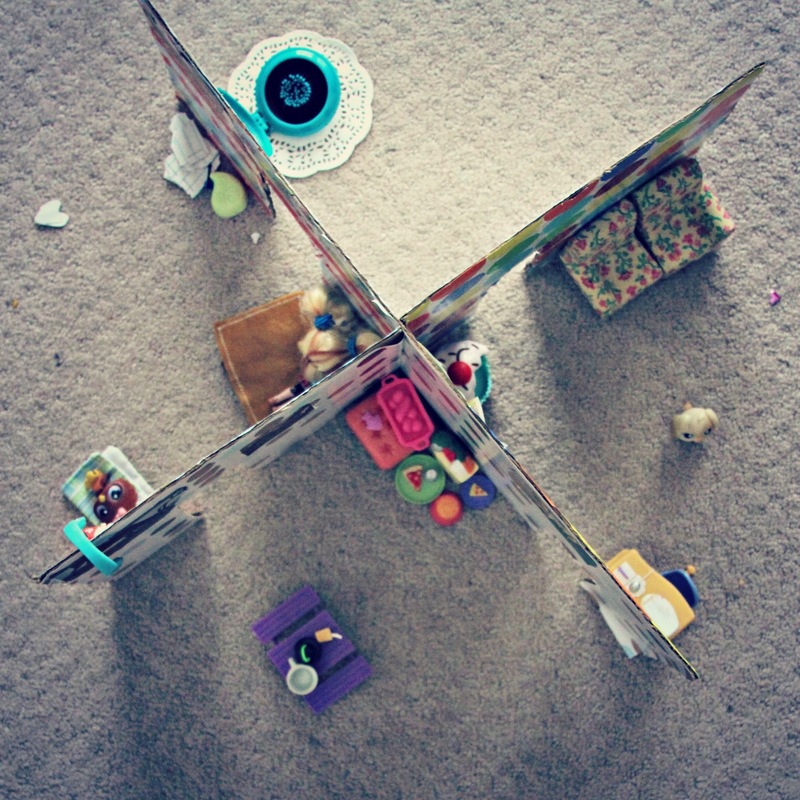 I love dollhouses. 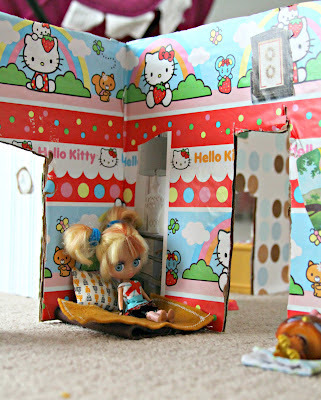 And when I was a wee girl I remember making one from a cardboard box. I glued fabric to the walls & made all sorts of furniture from all sorts of objects found around the house. 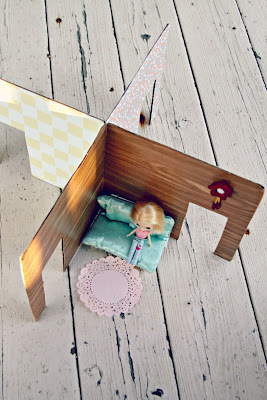 I spied THIS dollhouse on Pinterest & what I love about it is that it can come apart & store flat. I did the majority of the work while the girls anxiously sat by, waiting to play. 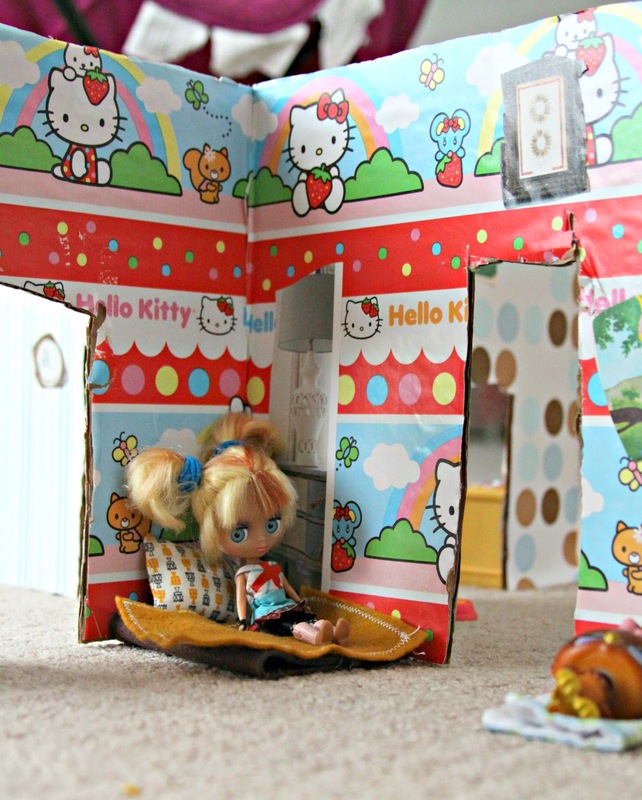 Cutting the cardboard took some patience. 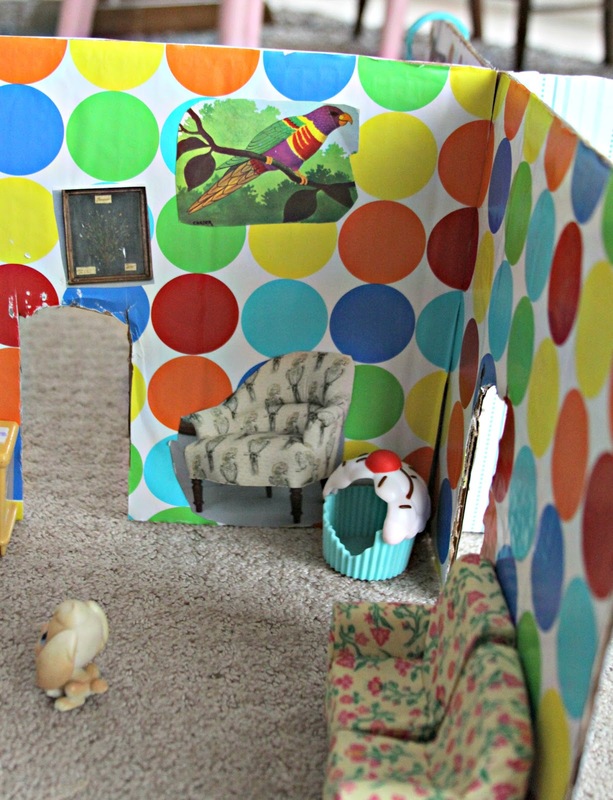 The girls made their choices of "wallpaper" for each room. We picked from various contact papers & wrapping papers I had on hand. And then I cut all that. 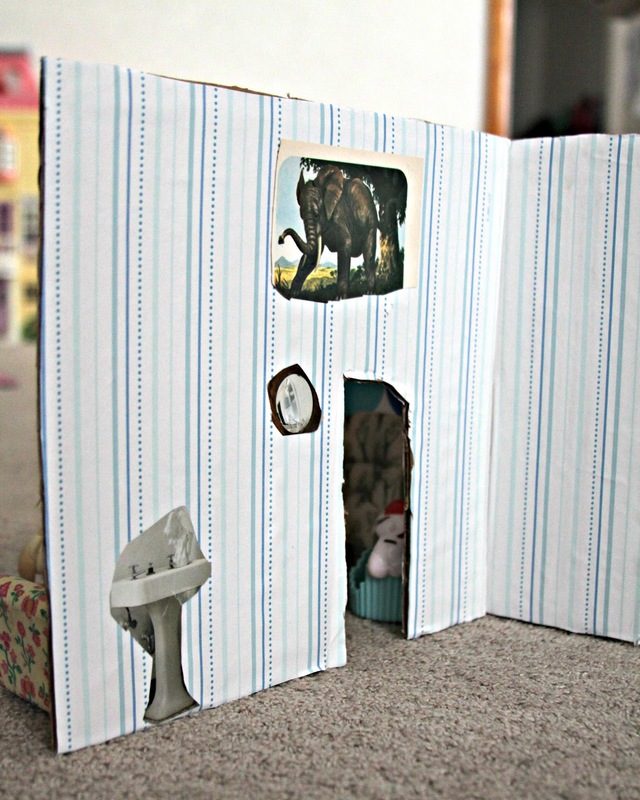 Once everything was stuck or glued on (gluestick) we cut out doors for each room. They've only JUST begun to decorate. I have a feeling they'll be playing for days. I love these little houses—& even set aside the supplies to make one for myself. 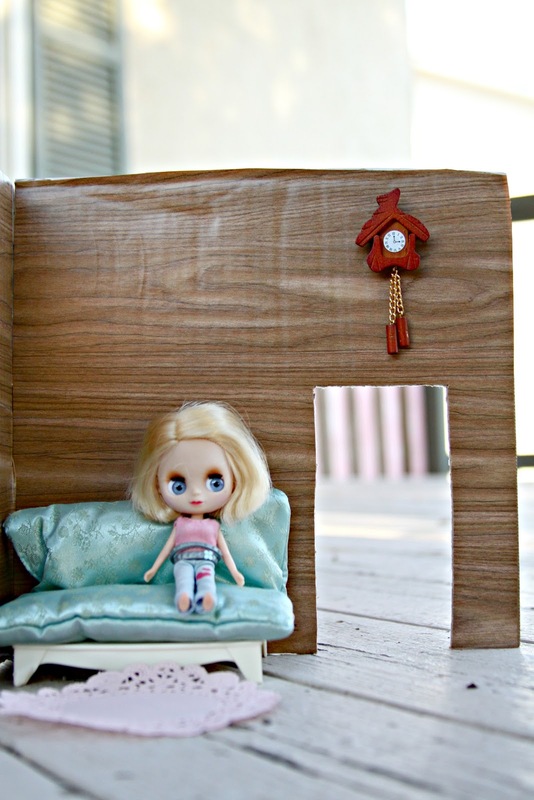 Check out THIS dollhouse with the same idea/concept, but shaped slightly different. 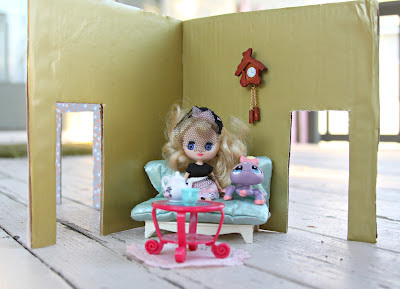 Maybe tomorrow the girls & I will attempt to make furniture for the dollhouses like THIS. 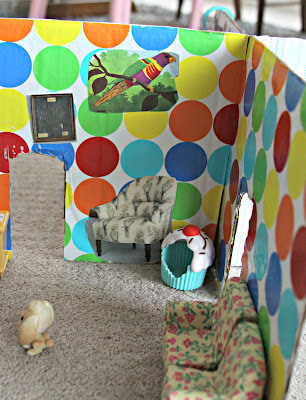 And, finally, THIS site shows you how to make a cardboard dollhouse from a used science poster display board. This is AWESOME! We will be doing this next week. Actually, we'll do this tomorrow! Love it! 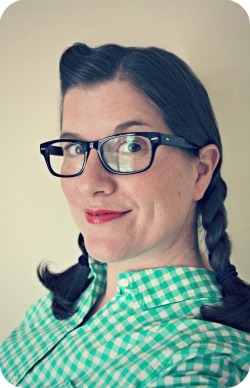 Thanks for sharing all of these great ideas! 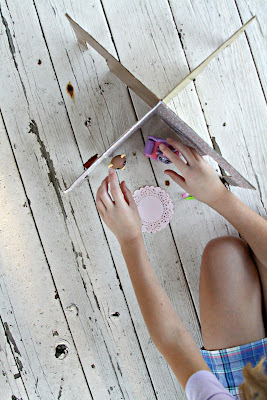 Great idea and hours of fun for the big and littles. Thank you for sharing. OMG! My scouts would LOVE to make these!! I love the contact paper on the walls. Can't wait! 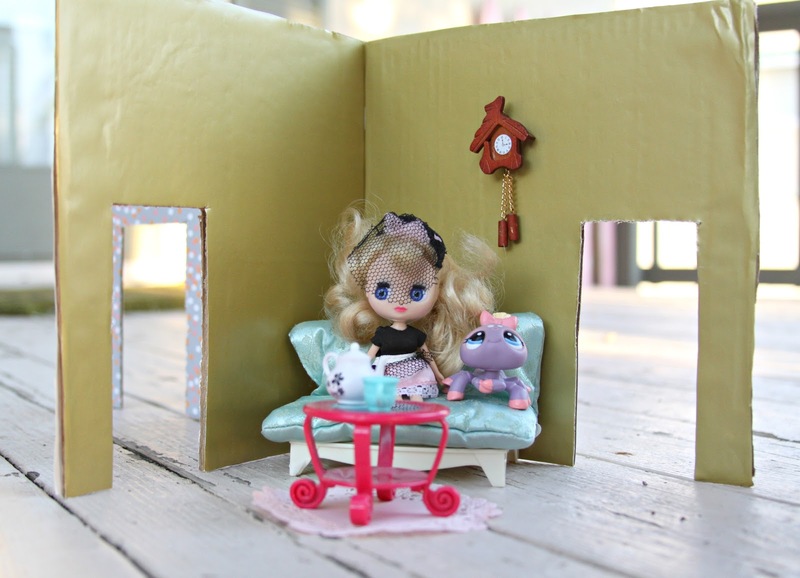 Oh my gosh- so cute!! Thanks for the post. 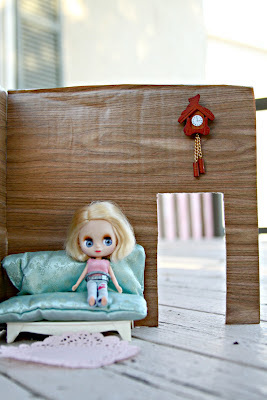 I'll have to make this super cute doll house over the summer with the girls.